The 10K (6.2 miles) distance is very popular with beginner runners, especially those who have done a 5K (3.1 miles) race but don't feel they're quite ready to take on the half-marathon (13.1 miles). You can use this eight-week training schedule to help get you to the finish line. It assumes that you can already run at least 2 miles. If you've never run before, you need to first build your running base mileage. Many people who are new to running start with a run/walk 10K training schedule, alternating running and walking intervals. If this schedule seems too easy to you, try the advanced beginner 10K schedule. If you haven't had a physical recently, visit your health care professional ​to get cleared for running. Don't forget to warm up before your runs, and finish your runs with a cool down and then stretching. You can switch days to accommodate your schedule. If you're busy on another day and prefer to workout on a Monday or Friday, it's fine to swap a rest day for a run day. Here are the details about the runs you should do on your workout days. Mondays and Fridays: Mondays and Fridays are rest days. Rest is critical to your recovery and injury prevention efforts, so don't ignore rest days. Your muscles build and repair themselves during your rest days. If you run every day without taking days off, you won't see much improvement. It's also good to sometimes get a mental break from running. If you run every day, you may get burnt out or injured very quickly. Tuesdays and Thursdays: Run at a comfortable, conversational pace for the designated mileage. You should be able to speak and breath easily at this pace. If your breathing gets out of control, you should slow your pace or take a walk break. If you feel good during the last mile, pick up the pace a little so you're running at your anticipated 10K race pace. Saturdays: This is your long run day. 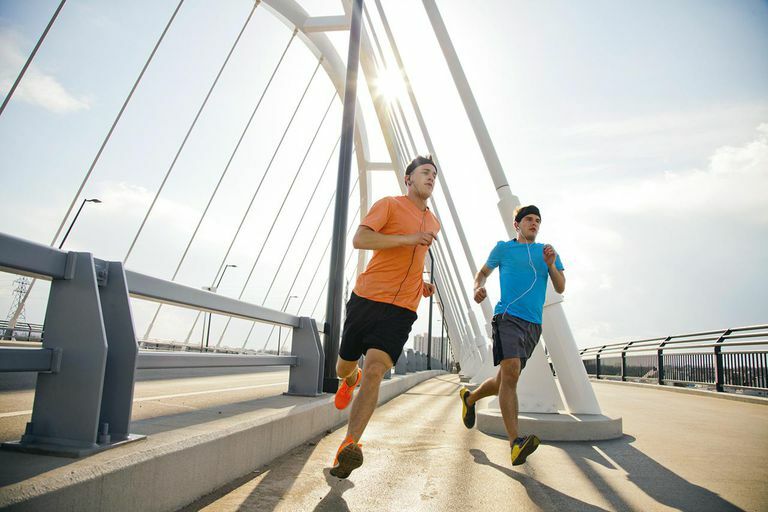 After you warm up, run at a comfortable, conversational pace for the designated mileage. If you're running outside, and you're not sure how far you're running, you can figure out the mileage by use apps and sites such as MapMyRun or RunKeeper, or a GPS watch. On this day, especially, wear your shoes, socks, and race outfit you plan to use during the 10K. That way you will know whether they work for you or you need to get new gear. Wednesdays: Do a cross-training (CT) activity (biking, swimming, elliptical trainer) at easy to moderate effort for 30 to 40 minutes. Strength training is also very beneficial to get stronger and more injury-resistant. If you're feeling very sluggish or sore, take a rest day. Sundays: This is an active recovery day. Your run should be at an easy, comfortable pace, which helps loosen up your muscles. Or, you can do a run/walk combination for the indicated amount of time or cross-train. Get our downloadable guide to help you prepare for your next race. If this will be your first 10K race, you'll want to familiarize yourself with the race course. If there are hills, be sure to include hills in your long training day route. You will also want to review road race etiquette, and even how to take water from aid stations and use porta-potties on race day. Be sure that you stay safe and enjoy your training and race.